Ombre (noun): A French term meaning "shaded." Usually a multicolored stripe, with colors graduating from light to dark. Now that I had discovered this uber cool technique, I had to join in the challenge fun. 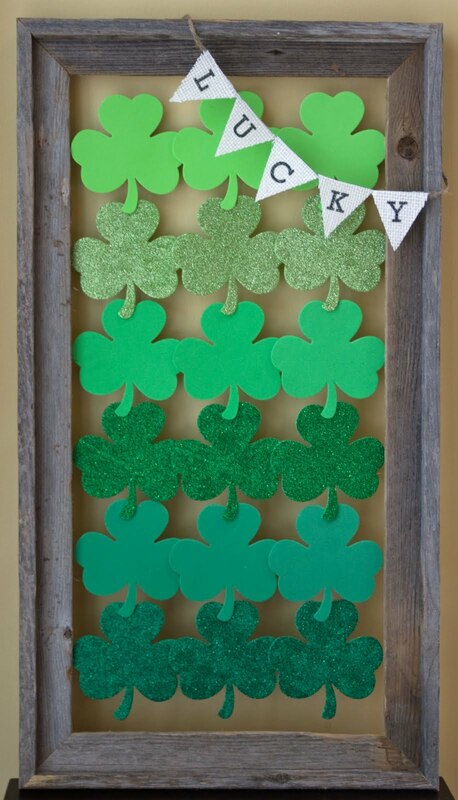 Given the fact that March is right around the corner, I thought it would be appropriate to create a St. Patrick's Day project that incorporated the ombre design. 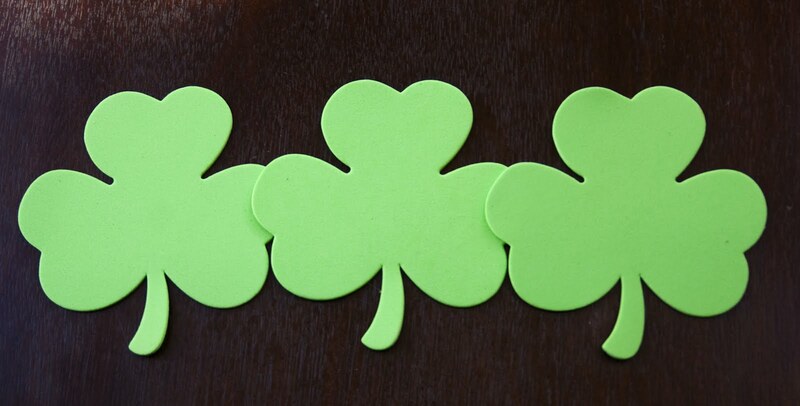 I completely lucked out by finding pre-cut shamrocks in varying shades of green at Michael's craft store. First I sorted the shamrocks by color (there were 3 of each shade) and attached them together using hot glue. 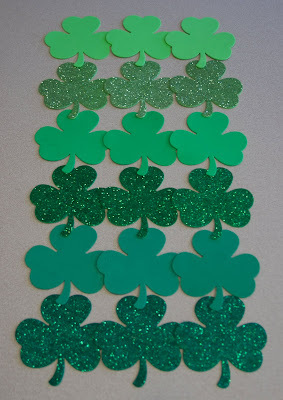 Then I hot glued all of the rows of shamrocks together to make a large rectangle shape. Finally I attached the shamrocks to a frame using clear nylon thread and created a little burlap banner. So fun and I am so happy you linked up to the CSI Project. I am going to feaure you on the FB page. Thanks for the comments - they're much appreciated! This is just C.U.T.E!! Would you mind sharing what size the frame is, to give a perspective? I love your creativity. Awesome, girl. 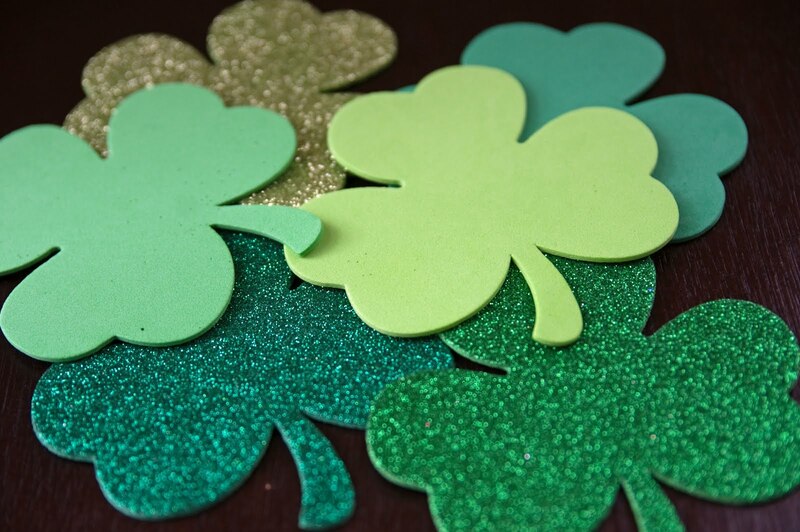 We love your blog and will be featuring one of your posts on next week’s social media campaign on March 13th through our facebook, pinterest, twitter, and google + pages. 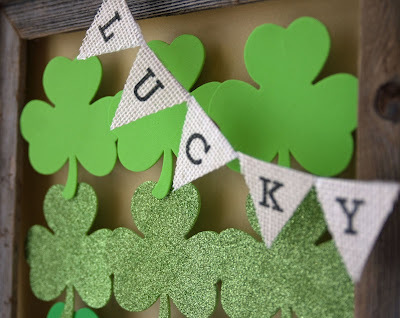 Thank you for your helpful tips and we want you to know that with your creativity we are able to share fun ideas with our clients as well as get you more followers. Keep up the good work.